With late April marking the anniversary of my move to Thailand, and with this year marking my sixth anniversary, I have decided to compile a series of “Six of the Best” features encompassing my hobbies and interests, which I have enjoyed during my time here. I will start with films made in, or set in, Thailand. The list is in chronological order of the year of production. The first Thai film I saw after moving here remains one of my favourites. I watched Muay Thai Chaiya (simply Chaiya/ไชยา in Thai) almost as a token – “I’m in Thailand so I should watch a Thai film” – but I had a similar experience to when I watched Fight Club for the first time. Expecting a simple beat-’em-up, I was given so much more. Chaiya is, on the surface, a martial arts movie, but its narrative charts the coming of age and moral corruption of three pugilistic brothers as they move from the idyllic southern district of the film’s title to ’70s Bangkok to chase big bucks in the ring. The three brothers’ fates take differing turns; one’s boxing career is cut short through injury, another pursues legitimate championship aspirations, and the third is drawn into Bangkok’s lucrative but increasingly dangerous underground fighting circuit. Organised crime influences all three, and their competing egos and influences make for a blood-soaked morality play of love triangles, sibling rivalries and childhood bonds. Chaiya culminates in an absurdly violent climax that some of Japan’s more notorious splatterhouse directors would be proud of, yet it is testament to director Kongkiat Khomsiri’s work that it somehow doesn’t come across as unrealistic. 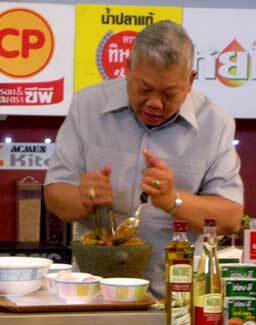 (Kongkiat would later direct another of my favourites, Slice – see next entry). I don’t subscribe to the idea that all censorship is bad. As much as I appreciate freedom of speech and expression in the media and arts, I do believe in sensible censorship of the most extreme opinions and/or images. For example, I think it’s quite right that distributing material which incites hatred is a crime in the UK, and that the USA’s Freedom of Speech law, which allows for the same to go unpunished, is a little lax. Again, a part of the world that is dear to me has been devastated by a tsunami. Last time was the 2004 Boxing Day disaster which wreaked havoc on several Indian Ocean countries, most famously Thailand. This time the Samoan islands have borne the brunt of killer waves resonating from a huge earthquake in Indonesia – also the epicentre of the 2004 catastrophe. Phuket was worst-hit in 2004, while Krabi also suffered extensive damage, and scenes of the damage there were poignant for me at the time, as I had only two months earlier enjoyed my first trip to Thailand, spending half of it in Krabi, a dramatically beautiful province which remains my favourite place in the kingdom. 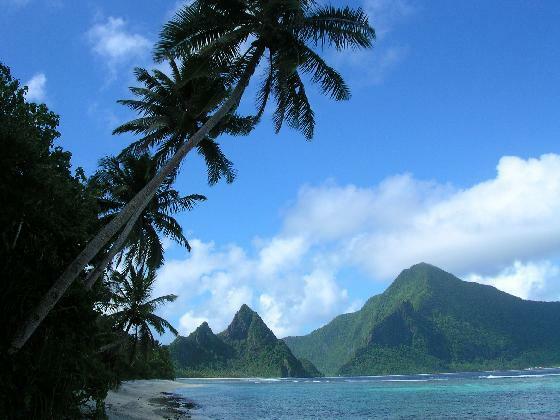 Last week the Samoan islands – both independent Samoa and the US territory of American Samoa – were hit by a tsunami of a similar ferocity, with reports of waves of anything between three and seven metres high washing up to a mile inland, devastating the southern coastlines and in some cases destroying entire villages. Tonga, too, was hit.